The House League Basketball is for Senior High boys & girls in grades 9-12. The program emphasizes fun, equal participation for all players, development of athletic skills and sportsmanship. Registration opens in September and the program runs from December-March. Coaches will be confirmed during the month of November. Tryouts for the Senior High program are typically held during the first Saturday in December. See the Tryouts/Player Evals page for more detailed information regarding this process. All students are eligible to participate as long as they are not a member of their high school's freshman, sophomore, junior varsity or varsity teams. BPAA team rosters will not be determined until after all the high school teams have been selected. Teams rosters are determined via a draft pick process, so requests for certain coaches and/or players to be on the same team due to car pooling will not be honored. Games are held weekly on Sundays from January through March. 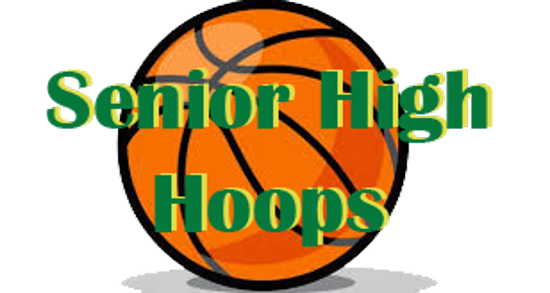 The Senior high program is part of a community league that emphasizes good sportsmanship and equal playing time. Teams typically will compete against other teams from Brooklyn Park/Brooklyn Center as well as Osseo/Maple Grove, Champlin/Dayton, Rogers and Robbinsdale. Practices typically start the week following tryouts. 1 to 2 practices per week are held on weekdays usually for 90 minutes between 6:00-9:30 p.m.
A nominal fee may be required for entry into the tournaments or waived based on volunteer hours contributed to the program.